Mumbai: Nielsen today announced a strategic partnership with retail technology platform SnapBizz, that will enable development of new products and services for manufacturers in the fast-moving consumer goods (FMCG) industry. This will be based on point-of-sale (PoS) transactional data in the traditional trade environment, Nielsen said in a statement here. This also marks Nielsen India’s foray into building a partnership ecosystem that will focus on providing newer shopper and store insights for the dynamic and transformative, though largely traditional, retail environment in the country, it added. “SnapBizz will be a key strategic partner to Nielsen in the retail data space as they have a successful proof of concept that focuses on retailers’ needs and the right ingredients to help retailers modernise their business in a competitive environment,” Prayag Bhatia, Executive Director, Nielsen India, said in the statement. “Access to this wealth of data offers a unique opportunity to manufacturers to optimise their go-to-market efforts in traditional trade that has often been considered a “black-box”,” he added. While the idea of transaction data analytics is not new, in markets like India where traditional trade accounts for over 90 per cent, the challenge has been to leverage these practices in absence of reliable and widespread technology deployment, Nielsen explained. SnapBizz is currently present in more than 2500 stores and planning to scale to over 10,000 important stores across multiple cities. 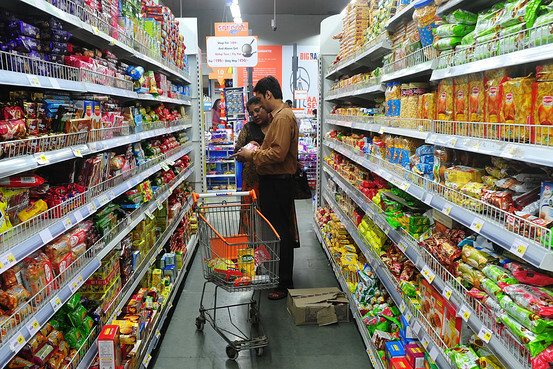 The data generated using the platform will help FMCG players get unique, real-time and actionable insights on assortment, promotions, new launches performance and price efficiency based on actual consumer buying patterns.